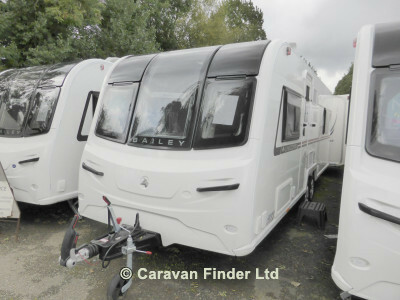 Bailey Unicorn's 2019 twin-axle Pamplona has a new bed and shower room layout. Inside the Bailey Unicorn Pamplona, the bed is positioned with its head against the rear wall, at the end of the bed, you will find a sliding door that leads into a new-style shower and washroom. An advantage of this new bed has to be the fact that it can be retracted to create more space during the day, giving you and your family plenty of space to kick back and relax. Towards the nearside of this Bailey Unicorn, you will find the shower room. This 4-berth caravan is the ideal place for families to relax after a fun-filled adventure.